2018 - Skipper Matt Morrison and Crew Kelly Bruce take home the trophy for the 41st Annual Commodore's Cup Harbor Race. Photo with Commodore Austin Baird. 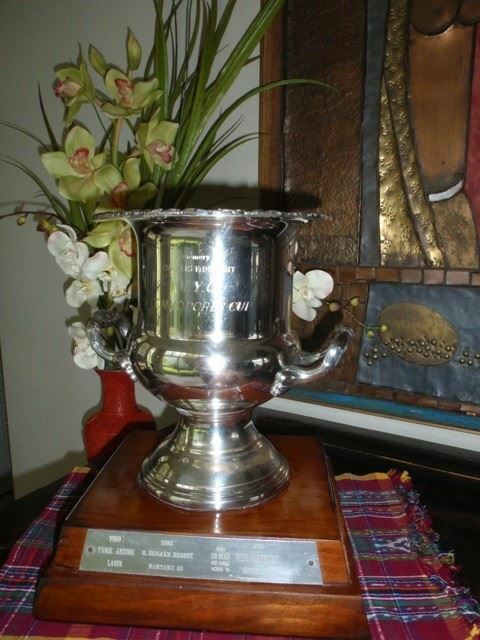 2015 - Winners Ross Sarah Morrison win the Trophy on this Commodores Cup.